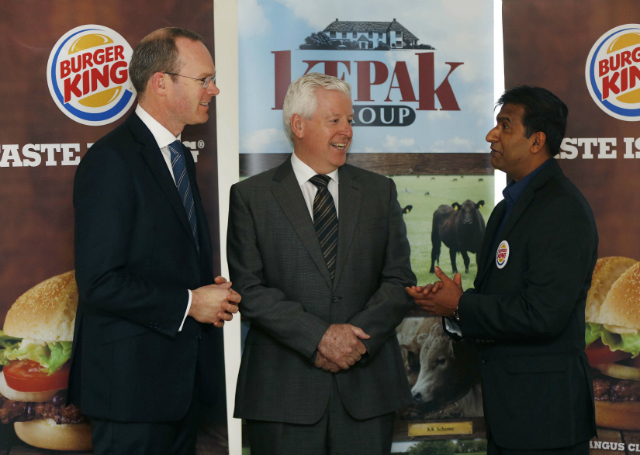 Burger King has signed a deal with Kepak that it will take supplies from the Kepak, Ballybay meat plant. The fast food group had suspended its contract with Silvercrest Foods days after it emerged in January that one frozen burger produced by the plant had 29 per cent horse DNA in its meat content. At the end of January, Burger King disclosed that tests it had carried out on burgers produced by the Silvercrest plant came back negative for horse DNA., However, the company said at that time it would not be renewing its renewing its contract with Silvercrest. It had been sourcing burgers from Germany and Italy since then. Burger King has more than 500 fast food outlets in Ireland and the UK. The fast food chain was one of four major customers of the Monaghan plant, then owned by Larry Goodman’s ABP Food Group, and its business was understood to be worth tens of millions of euro to the plant. In April, ABP announced it was exiting the frozen burger business and sold the plant to Kepak for an undisclosed sum. Silvercrest’s 122 staff transferred to the new owners as part of that deal. The Kepak facility will undergo “frequent and rigorous audits to ensure industry leading safety and quality”, the two companies said as they announced the new contract today. 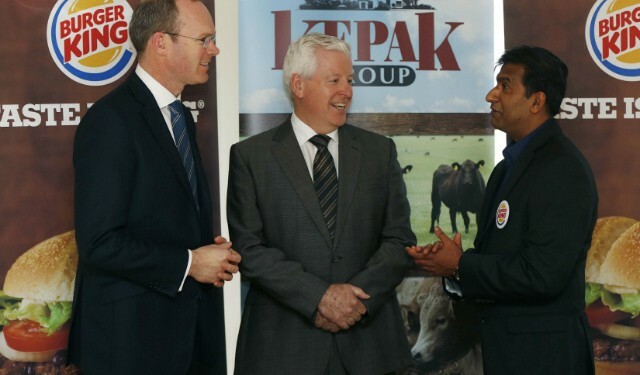 Raj Varman, Burger King’s general manager for north-west Europe said the group was “proud to bring back 100 per cent Irish and British beef to our restaurants”. “Our partnership with Kepak means that our guests can continue to have every confidence in the provenance and high quality of the locally sourced and great tasting burgers they enjoy at our restaurants,” he said.